Javier Gomez will line up in Rio for the 2015 ITU World Olympic Qualification Event this weekend. Should he secure a win or a top-three finish at this test event, he will gain an Olympic quota spot for Spain and almost guarantee his spot on the Spanish team for Rio. 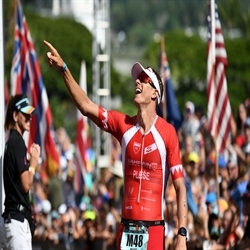 However, he has to go through the world’s top triathletes such as Alistair Brownlee as well as his compatriots Mario Mola and Fernando Alarza, who sit just below Gomez in the ITU world rankings. Bahrain Endurance 13 Team has confirmed plans for their support in the development of young high performance athletes from Bahrain to feed into the Bahrain national triathlon team. Today the Bahrain Endurance 13 Team has confirmed plans for their support in the development of young high performance athletes from Bahrain to feed into the Bahrain national triathlon team. After a protracted battle over the bike and run legs, Ben Hoffman finally outsprinted Andy Potts by two seconds to break the tape first at Ironman 70.3 Calgary. Another weekend of racing awaits the Bahrain Endurance 13 team. Another weekend of racing awaits ?#?BahrainEndurance13? around the world. Challenge Poznan will see power couple ?#?JodieSwallow? and ?#?JamesCunnama? in action. This is the first time they are racing together since Ironman South Africa; Swallow has since been in Colorado to complete a training block, while Cunnama raced the Asian circuit. The couple are now reunited in Girona, Spain. Another weekend of racing awaits Bahrain Endurance 13 around the world. 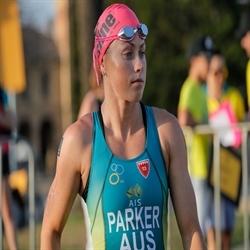 Challenge Poznan will see power couple Jodie Swallow and James Cunnama in action. This is the first time they are racing together since Ironman South Africa; Swallow has since been in Colorado to complete a training block, while Cunnama raced the Asian circuit. The couple are now reunited in Girona, Spain. Gomez, Gambles and Hoffman fought tough battles for podium spots ?#?JavierGomez? 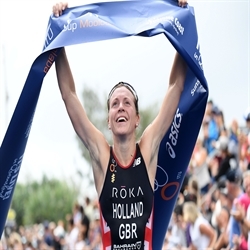 held tough at WTS Hamburg for second place and retained the world number 1 ranking. 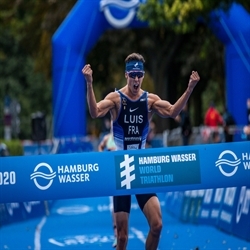 It was his fifth podium in the WTS series this year, and sixth time on the podium in Hamburg. Athletes of the Bahrain Endurance 13 are out to challenge their versatility over distances and surfaces with short course and off-road races this weekend. With the Australian winter in full swing back home, its triathletes have begun the yearly migration to race in America’s summer. 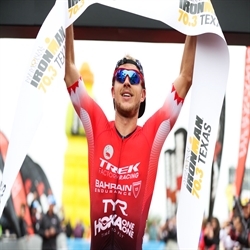 Among them are Bahrain Endurance 13 members Sam Appleton and Luke Bell, who will toe the start line at Ironman 70.3 Vineman this Sunday. 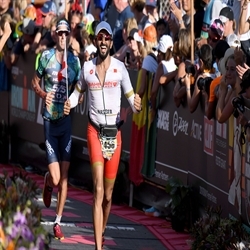 Just as diamonds are created in immense heat and pressure, Bahrain Endurance 13 athletes Jan Frodeno and Daniela Ryf were flawless under the blistering Frankfurt sun in a top-caliber field to take their first Ironman European Championship each, smashing course records along the way. 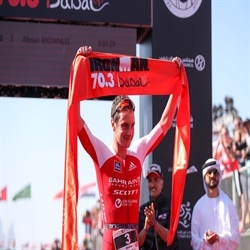 On Sunday, four of Bahrain Endurance 13’s champion athletes will have their eyes on the prize at Ironman Frankfurt, the European Championship. 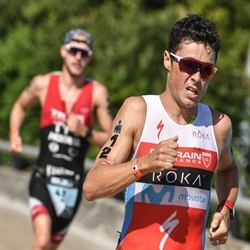 With the ITU Long Course World Championship to be contested this weekend in Motala, Sweden, the Bahrain Endurance Team is well-represented by the veteran Joe Gambles of the Bahrain Endurance 13 and rookie Josh Amberger of the Bahrain Endurance Racing Team. The weekend for the Bahrain ENDURANCE Team was a rollercoaster of highs and lows at the races. Expect action all weekend long as the Bahrain ENDURANCE Team toe starting lines in Australia, Europe, and North America. With Ironman Cairns taking place this weekend, members of the Bahrain Endurance Team have converged at Australia’s tropical paradise to test themselves at the world’s most grueling single-day endurance event. Leading by example is team captain His Highness Shaikh Nasser Bin Hamad Al Khalifa who has prepared meticulously for the 3.8-kilometer swim, 180-kilometer cycle, and 42-kilometer run. The Bahrain ENDURANCE Team will paint the world in racing red this weekend as they compete in Australia, Europe, and North America. This weekend we saw pedal-to-the-metal racing from the Bahrain Endurance 13 Team in stunning destinations. The Bahrain Endurance 13 Team is back in action in Florianopolis and Salou, two reknowned destinations for tourists. The weekend will be anything but a holiday, however -- these men are set to get to work!